I'm not big on asking for help for myself. It's so much easier to help others. But ... it's time to pull up my big girl pants and get serious. I'm looking for some reviews of my YA fantasy story, Kindar's Cure. It's got murder, mayhem, magic and a motivated but ill princess. If you've already read it, please consider leaving a review. If you'd like one of the free ebook copies in exchange for an honest review, leave a comment with a way to get in touch with you. Also tell me what type of file you'd like epub or mobi. There are a limited number, but I'll try to get one to everybody. If you haven't got an ereader but are on Goodreads, check out the sidebar for the giveaway of the paperback version that's happening through November 30th. 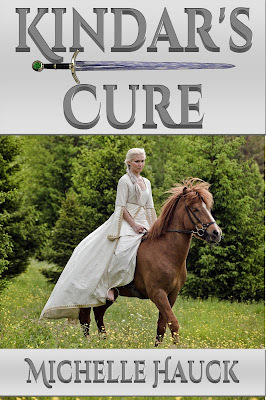 Kindar's Cure is published by Divertir Publishing. I'd love to read your book and write a review for you :) I live on opposite side of USA on earth, so you wouldn't be able to send me a paperback copy. Thanks, Xander! I'll get that right out to you. I appreciate you finding time. This is the first time that I've actually posted on any blog, but I've read yours many times and would love to help. You seem so generously helpful to writers everywhere and I hope to repay in kind, if you're interested. Your story sounds great and I'd definitely read it, especially to help. :D I'm on twitter @tnjohnson1111, if you'd like my assistance I can send you my email. First of many blog comments I hope. Thanks. I'm interested! My email is kaysielynn at suddenlytheyalldied dot com. Thanks! All these offers are fantastic. I'll definitely help with an honest review! Kindar's Cure sounds like a great read. My email is martysunshine (at) yahoo (dot) com. Thank you. Hope you enjoy it. I still haven't finished this. I'd love to help out. I can do reviews on goodreads and amazon and I suppose my blog too though it has limited traffic. My book comes out next month so I think it is saving up karma. Can't wait to read your book. Gotta find out about the Girl with Brown Eyes! I'm buying the book and will be reviewing when I finish reading! Thank you, SC! That's awesome. I'd love a picture and tell Filly thanks. Young people spreading the word, that's what every author needs. I'd love to get involved. I don't have a blog-based review presence, but I do teach creative writing and fantasy/sf lit courses at a high school for the gifted, so I'm always recommending and referencing books for my students' benefit. Your class sounds so interesting. I bet you have fun with that. Thanks, a copy is on it's way! HOORAY FOR 100K PAGE VIEWS!